Wonderful reporting about James Aaron! Thank you! My dad is Vincent Mosca, the assistant crew chief. 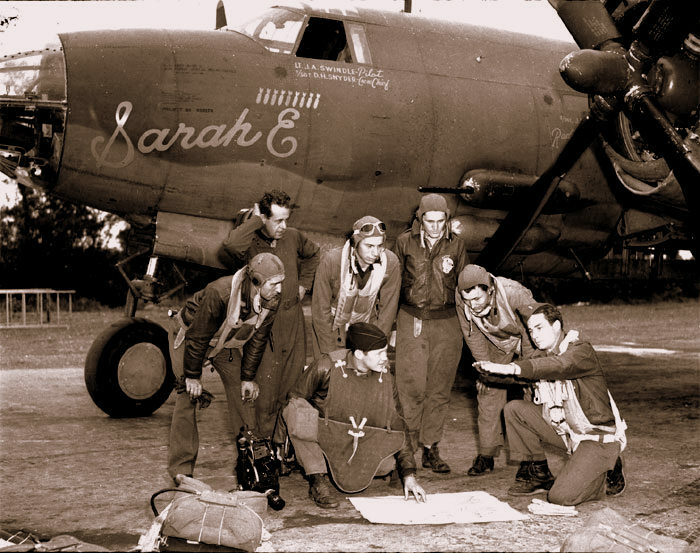 He was injured by shrapnel at some point, however, he never talked about his experiences with the Sarah E., although he faithfully attended 451st bomb squadron reunions when I was a kid. 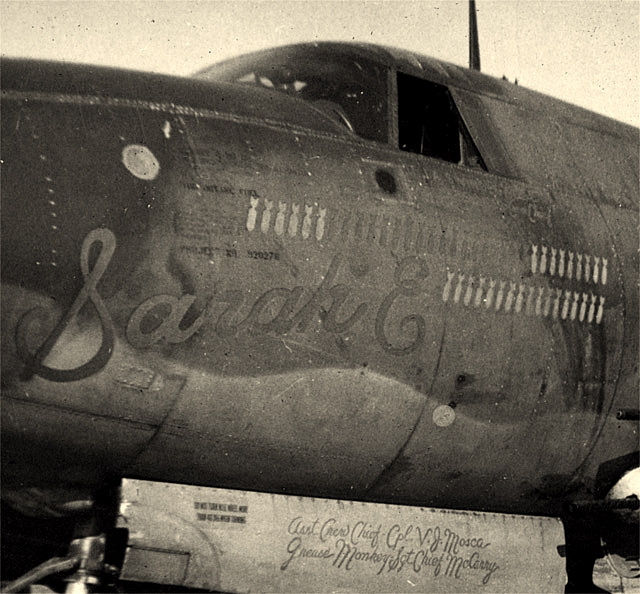 I’d love to talk with anyone who has any more info on the history of the Sarah E. My mom is still alive and will be 91 in September of 2013. My Dad, Richard A. 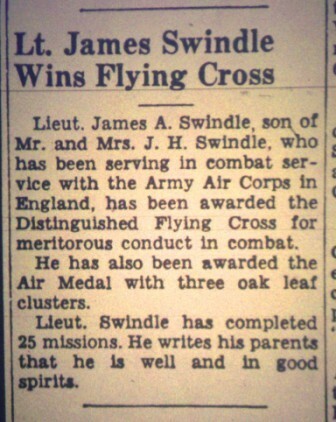 Young who was a pilot in WWII flying the B-26 is mentioned in the article in the Atlanta Constitution above, announcing the graduation of James Swindle and my Dad from the Columbus Army Flying School. My Dad survived the war and retired from the Air Force with 23 years service. 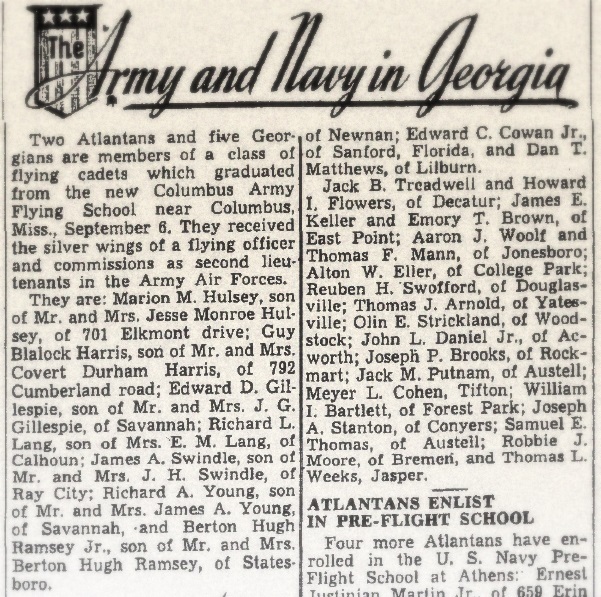 He went in the Army Air Corps from Georgia Tech (who he also played football for) after the war started. 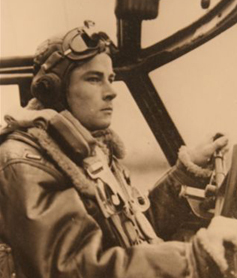 He has passed away and I have been trying unsuccessfully to find the name of his plane. I was able to get the history of the squadron. It is mentioned in the history that he may have become a Pathfinder but I’m unsure of that. I would love to hear from anyone that may have known him or could shed some light on his experience. Thank you. my great grandpa Harold david allan was the one who flew the sarah e when it ran out of fuel and crash landed he was in the 322nd 451st bomb squadron when he noticed he was low on fuel he looked for a field to land at when he looked for a field all he could find is a hillside in a farmers pasture behind his house he was 3500 feet in the air when he decided to bail out his crew his co pilot jimmy said hed ride it down with him they flew a little longer until their gas got too low they then headed into the best area he could see they hit the ground and bounced once then they came to a stop the next time they hit the ground they opened the hatches and got out as quick as possible the farmer practically met them he was out near his home when the farmer came down he came out to the co pilot and kissed him on both cheeks after that my grandpa and his co pilot made a call to the base and got a ride back. and that’s the story of the final flight of the sarah e.
My father piloted the Sarah E too. His Name was Morton A. Dubelier. He hated talking about his experiences. I was told he flew 63 sorties. Crashed landed twice and was involved in an incident where he was assigned second seat to a Major so the Major could get another combat mission and be promoted. 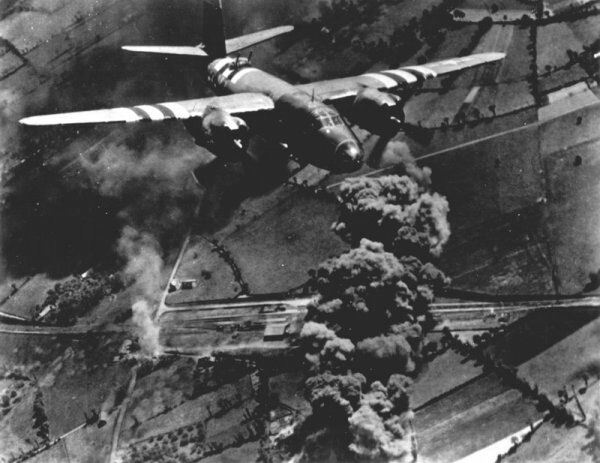 My father took control of the plane and got it home but that was one of the crash landings and my father lost 2 of his crew. He was livid. The Major got his silver cluster and retired a General. My father got his RR tracks and a trip to the hospital with a dislocated shoulder. My father was still recovering from his injury when they came for him to fly on D-day. He said the paint was still wet when he took off. 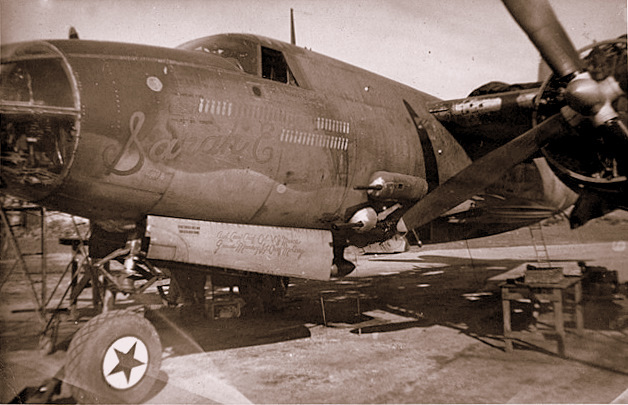 What bothered my father most was when a flak shell went through the cockpit and killed his co-pilot. It could just as easily killed him. He flew the rest of the mission without a wind screen. He kept asking his engineer to come to the cockpit to help him bend the flight suit sleeves at the elbow. All the blood in the cockpit froze and he could not bend his arms. He and his crew were very close. When he got home he threw away all his uniforms. He kept his DSC with 11 clusters. Once I asked him who flew cover for his bombers. He said it was the RAF. He told me the fighters had squared off wings. I knew the Spitfire and Hurricane has rounder wing tips. I finally figured out that the British were flying P 51 Mustangs. 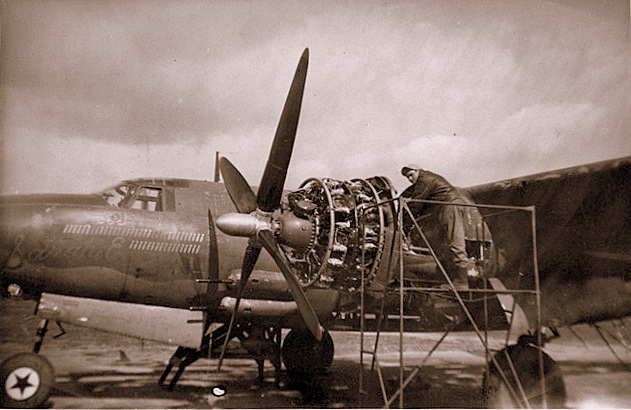 Engines on the B-26 were to be pulled and replaced at 500 Hours. One of the engines on Sarah E lasted almost 800 Hours and was pulled as a precaution. Mechanics felt the engine could have gone much longer.